great news! loking forward for the new release! btw if i download and install this now, do i need to reinstall next month when the stable release is out? Nope. You will be able to update via the package manager. oh boy christmas came late this year, welcome back Jeff, and thanks ! Thanks for coming back to Bodhi Linux. Bodhi is the most interesting and enjoyable distro I have tried in the past 10 years. Welcome back Jeff, we are pleased to have you back! Welcome back Jeff!! Looking forward to working with the new release! Excellent news. We've been hoping for this moment. 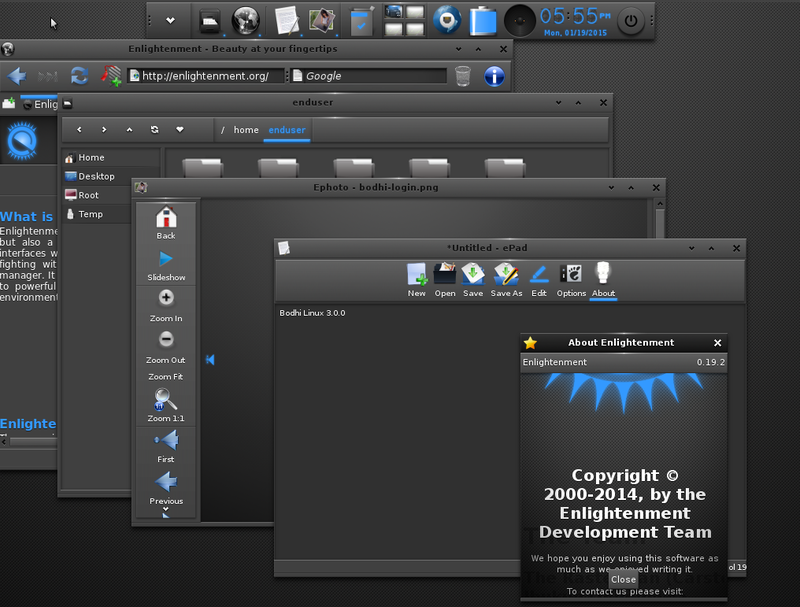 No one does Enlightenment as good as Bodhi linux. Tried Xubuntu, Lubuntu, LXLE, Elive. Nothing worked but Bodhi did ootb on HP Omnibook 1500. And it looks great, feels great, is great. Thanks a lot!!! Glad to hear that you've decided to return Mr. Hoogland. I was starting to get concerned that Bodhi was going to fade into the Hall of Forgotten Great Linux Distros of the Past, and imho, that would have been a shame. Thanks for coming back. Thanks Jeff. Wish to see Bodhi among the top 10 distributions. Hello and welcome back Sr. Just one quick question, I don't think it could be defined as "support" so here it goes: Can I install Bodhi on a Windows 8.1 UEFI PC and set a dual boot without breaking the Win boot? I have Bodhi setup on a UEFI system, but I have UEFI disabled in the BIOS. Haven't played with it other than that. What a nice surprise. Welcome back Jeff. 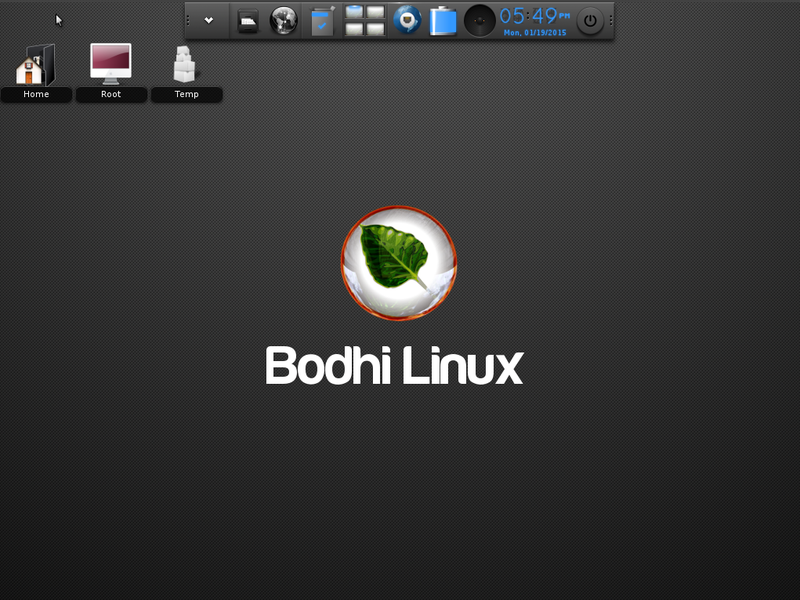 Bodhi is always one of my favorite distros and I test/use most of the top 15 distros on distrowatch.com. Bodhi is also usually the fastest running on my various hardware. 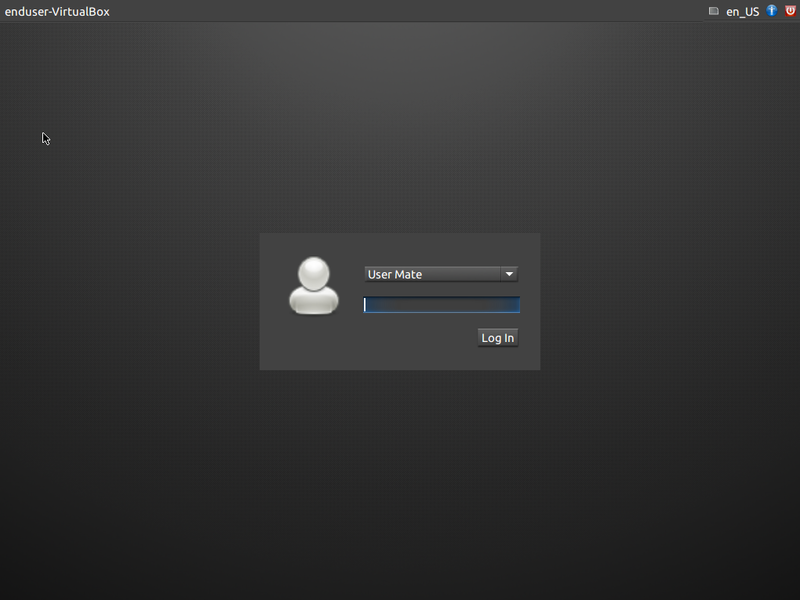 So customizable, and much more faster than KDE. Reinstall your OS. We do not provide a direct upgrade path between major Bodhi releases. Welcome back Jeff. I have been using Bodhi since the 1x days and its one of my favorites. So glad your back and looking forward to the release of 3.0 final. So far it's shaping up to be a very nice release in my opinion. We missed not having you around and it seemed the distro "stalled" for quite a while without you. So glad to have you back and I feel much better about the future of the distro again (not saying the other guys were incapable though). welcome back Jeff. we are very happy to know you are again with us.